Jeffrey H. Lerman, 2007 President of the Marin County Bar Association, is a real estate investor and real estate broker as well as an attorney. 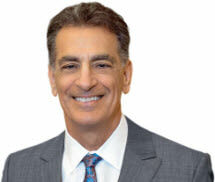 Before co-founding Lerman Law Partners, LLP, Mr. Lerman practiced at prominent, large firms and served as General Counsel of two real estate companies with large portfolios of award-winning commercial, mixed-use, retail, medical office and residential properties nationwide, including the Los Angeles Four Seasons Hotel. Mr. Lerman handles acquisitions and sales, entity formation, syndication, commercial leases, loan documents, construction documents, loan work-outs, and litigation involving each of these areas as well as unfair business practices litigation. Mr. Lerman has lectured on various real estate and litigation topics at UC Berkeley Fisher Center for Real Estate & Urban Economics, the USC Law Center, and in front of numerous real estate investor organizations. Mr. Lerman has prevailed in the California Court of Appeals as reported in the published decision Keimer v. Buena Vista Books, Inc., 75 Cal. App 4th 1220, 89 Cal Rptr. 2nd 781 (1999). This important case was also reported and discussed in several articles including 'Selling Snake Oil', Brill's Content, February, 2000. Mr. Lerman also published an article entitled 'Defamation: The Plight of Celebrity Relatives,' Los Angeles Lawyer, Sept. 1983. Represented a major celebrity as the defendant in defamation lawsuit. The lawsuit was brought by a relative of another celebrity who was discussed in the book. The lawsuit involved a key First Amendment issue: whether relatives of public figures should be treated the same as public figures for purposes of defamation actions. After I made a successful motion for summary adjudication of issues, the case settled. Represented a major national food chain as the defendant in a federal lawsuit involving First Amendment issues relating to defendant's right to fly its flag on the same flagpole as the American flag. We succeeded in our motion to dismiss the lawsuit, terminating the case with a minimum of expense to the client. Represented a major retailer of food products as the plaintiff and cross-defendant in a lawsuit under the California Commercial Code involving a shipment of rancid product from the plaintiff's supplier. After I made a successful motion for summary adjudication of issues, the case settled. Represented a nationally-prominent owner of an automobile manufacturing company in a bankruptcy proceeding involving his company. The proceeding involved assets spanning the globe and simultaneous high-profile criminal proceedings against the owner. Represented a landlord as a defendant and cross-complainant in a lawsuit brought by the tenant seeking damages for the landlord's alleged failure to pay for repairs to tenant's premises after an earthquake. We cross-complained for the tenant's failure to pay rent. After taking the case over from another lawyer, I found through my research another case on point which played a major role in winning the case. After a 14-day jury trial, we prevailed. Represented plaintiff in an unfair business practice lawsuit against a major entertainment company arising from false statements made on the covers of books it published. This lawsuit involved a First Amendment issue which had never been decided by any court in the United States. This issue was litigated all the way to the Court of Appeals, where we prevailed, resulting ultimately in a settlement of the case (subject to court approval, which is pending). Represented plaintiff in an unfair business practice lawsuit against a major national muscle-building supplement store chain arising from false advertising included on the labels of certain products sold by defendant. After I took the depositions of defendant's owners, the case settled resulting in benefits to the plaintiff class worth millions of dollars. Represented defendant restaurant owner in an unfair business practice lawsuit. Successfully settled saving defendant tens of thousands of dollars in potential damages. Represented plaintiff/owner in a construction defect lawsuit involving a commercial building. Successfully mediated a settlement. Negotiated countless leases involving major retail and office tenants, representing landlords and tenants. Negotiated countless commercial property purchase and sale agreements. Represented a telecommunications company in an eight-figure merger. Represented a satellite telecommunications company in an eight-figure stock purchase transaction. A Martindale-Hubbell Peer Review Rating reflects a combination of achieving a Very High General Ethical Standards rating and a Legal Ability numerical rating. Legal Experience - Lawyer's degree of experience in his/her specific area of practice(s), Martindale-Hubbell. "Special Report Commercial Landlord Strategies in a Tenants' Market"
"11 of the Biggest Mistakes Real Estate Investors Make When Selecting and Forming an Ownership Entity"
"10 of the Biggest Mistakes Buyers and Sellers Make When Relying Upon 'Standard' Forms to Buy and Sell Property"
"Conflict Resolution Between Landlords and Tenants: Strategies for Commercial Landlords"
"Tools to Make Deals Happen in the 90's: Strategies for Leasing Brokers in a Soft Market"
"Defamation: The Plight of Celebrity Relatives"
Class Action-Unfair Business Practices: Represented the plaintiff class to sue the Disney publishing company Hyperion for false advertising related to its famous "Beardstown Ladies" book. Prevailed in the California Court of Appeals as reported in the published decision Keimer v. Buena Vista Books, Inc., 75 Cal. App 4th 1220, 89 Cal Rptr. 2nd 781 (1999). This important case changed the way books are published and advertised and was reported and discussed in several articles including 'Selling Snake Oil', Brill's Content, February, 2000. Construction Defect Claim: We represented a homeowner asserting a multi-million dollar claim against multiple contractors relating to defective work on both original construction and repair scopes. Almost every contractor had its insurance company involved, so we built a substantial case that was strong enough to convince all defendants and their carriers to provide enough settlement dollars to satisfy our client. We were successful in accomplishing that objective and the case settled under confidential terms. Fraud claim: We defended a seller against a claim that he concealed material information from the buyer that resulted in substantial alleged money damages. We successfully settled this claim to the client's satisfaction. Breach of Contract Jury Trial: We represented the owner of a shopping center who was sued by one of his tenants (a night club operator) for breach of contract and related claims arising from a fire at the nightclub. We counter-claimed against the tenant asserting negligence and related claims. After a 14-day jury trial, we prevailed. Boundary line dispute: Represented a homeowner against neighboring tennis club. Tennis court had encroached on my client's property for several decades. We successfully settled the case to the client's satisfaction. Here's a testimonial from our client: "My case, by most accounts, was just about a lost cause from the very outset. You took me seriously, did not give up on me, did your best to inform me of all the obstacles without discouraging me. All your hours of research and planning did lead to exactly what I hoped for, the acquisition of a 22.5 inch strip of land. Many, many thanks and my most sincere and best wishes for more successes in the years to come." Collection: Successfully defended client against collection complaint. When the client came to this office, he was confronted with a judgment that had been obtained against him, his wife and son. We succeeded in getting the judgment set aside, getting the lawsuit dismissed as against his son, and getting the lawsuit stayed "(or "frozen")] Here's a testimonial from that client: ""Your work and results to date have been in my opinion exceptional!" Malpractice Claim: Represented plaintiff in a lawsuit against former law firm (one of the largest in the world) in which we asserted a malpractice claim against that law firm. We settled the case to the client's satisfaction. Here's a testimonial from that client: "He [Jeff] is currently handling litigation for me where the amount in dispute is seven figures. Jeff understands the pros and cons in a business situation and is able to alert me about landmines that might exist. He covers all the bases, so there are no surprises. Furthermore, he is up front about everything and never misleads me. With other attorneys, you may not get the whole truth. So you get into a project and end up wasting money because the attorney wasn't truthful about all the aspects of the case. Jeff is very honest. He is also very easy to work with. Jeff has done a great job and I'm very pleased with his service." Commercial Eviction: We represented a landlord to evict a tenant from a commercial building in a vigorously disputed trial. We were successful. Here's a testimonial from that client: "Jeff Lerman has handled both contract negotiations and litigation for my company. He is a very good negotiator upon whom I rely. He is aggressive and persistent and never lets anything get by. He is also very thorough and detail-oriented when he needs to be. At the same time, Jeff is friendly and I feel very comfortable with him. I would highly recommend him." Collection: We represented a creditor collect a substantial judgment. Here's a testimonial from that client: "I used Jeff to collect a substantial judgment. The judgment debtors were being extremely evasive. Jeff Lerman collected the judgment in a very aggressive, efficient manner. I am a lawyer as well as a businessman. I used to practice law at one of the most prestigious firms in Los Angeles. I know good legal work and that is exactly what I got from Lerman & Lerman, at reasonable rates."